Citation: Bach, A., Shaffer, G., & Wolfson, T. (2013). 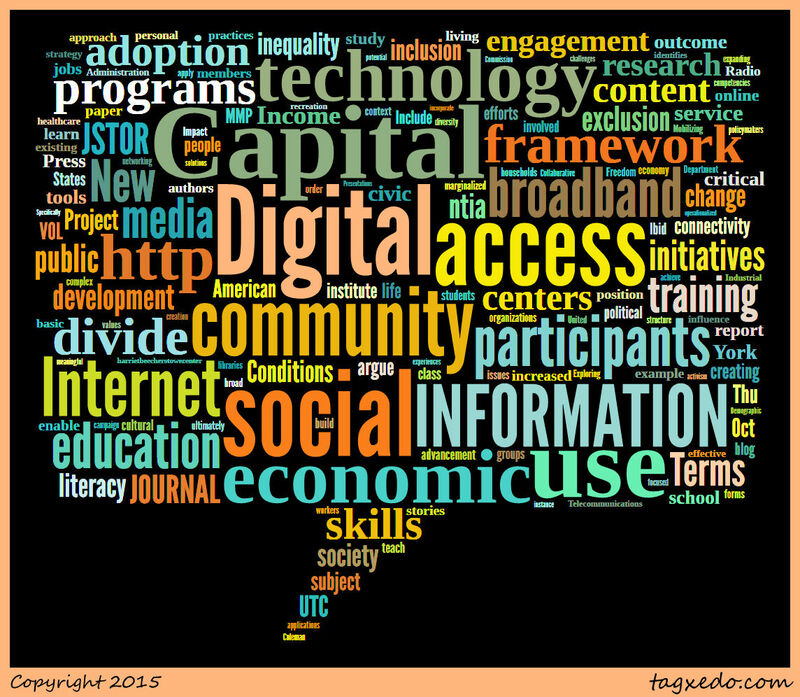 Digital Human Capital: Developing a Framework for Understanding the Economic Impact of Digital Exclusion in Low-Income Communities. Journal of Information Policy, 3, 247-266. Summary: The authors used a Digital Human Capital framework (DHCF) to explore inequality and technology. 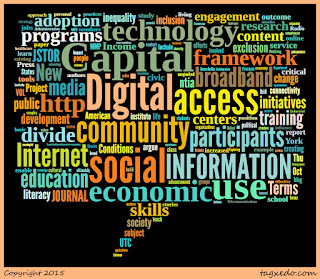 They viewed DHCF as an extension of the human capital framework, arguing that technology, like education, is an economic input that can produce strong returns if the connection of digital exclusion to other forms of social, political and economic exclusion is made explicit. Given technology’s centrality to modern work, the DHCF sees any digital divide as not just an issue of access but skills and capital that needs to be developed to actually reduce divides. This year-long qualitative research focused on a Broadband Technology and Opportunities Program funded initiative in Philadelphia. They analyzed the different projects within the initiative that moved beyond providing access to empower individuals and communities along social, political, and economic ways. They concluded that effective programs that are likely to address the digital divide will need to tie projects strongly to other forms of inequality. It is not enough to provide access, but for significant change and impact, participants must develop skillsets beyond basic computer skills. The study was limited in that it was mostly a descriptive exploration of DHCF and did not provide significant data on how participants of programs mentioned actually improved beyond the initiative.